I took this photo on a road trip. 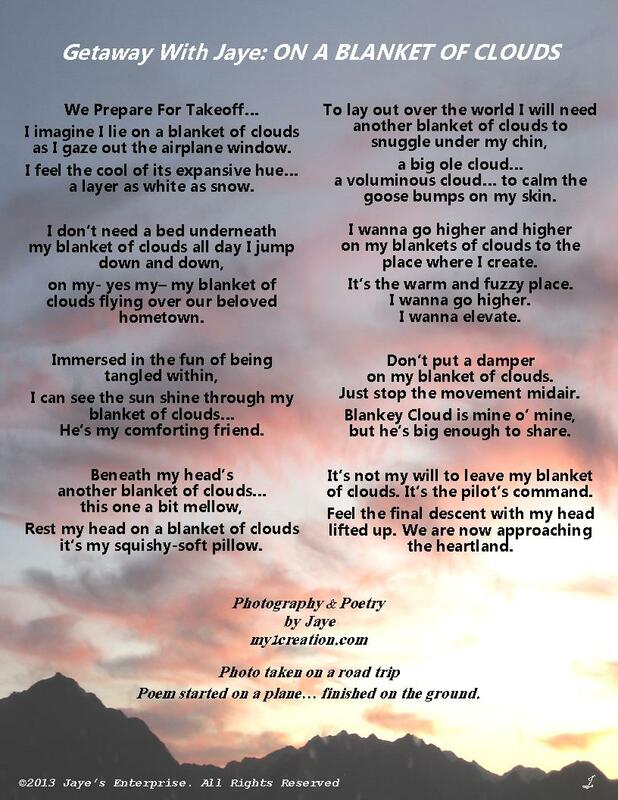 I started the poem in the air on a plane and I finished it after landing on the ground. Remembering that made me think how ideas begin in the mind. They will stay there if we let them; but if we express them we give them a life of their own. All things manifested started in the invisible first. We give life. Let’s give more life everyday. This post is in honor of World Poetry Day celebrated March 21st.